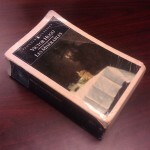 5 years after an epic re-read, I'm reading Victor Hugo's masterpiece again. I first read Les Misérables in high school, back in 1992 or 1993, after discovering the musical. The 2012 movie rekindled my interest, and I re-read it (the Norman Denny translation) with an entirely new perspective, writing commentary as I went. In 2018, I came back to it again, reading the Christine Donougher translation. It was interesting to compare the translations, and to see how my perspective changed again after just five years. Hey, Barricade, Who’s in Charge Here? Over the next few years I watched and reviewed various movie adaptations (and parodies). I came back to the book again, this time reading the Christine Donougher translation (2013). Paris has the Best Riots? Let’s Go Build a Barricade! My name is Kelson Vibber. I read Les Misérables when I was 17, and again at 37, when I wrote this running commentary. Now I’m reading it a third time. You can read more at my personal blog. The Les Misérables editions I read for the big, detailed commentary, translated by Norman Denny. The Les Misérables edition I'm reading now, translated by Christine Donougher.